Bruce Mullen, owner and founder of JUSU Bar, believes people can live better lives. After his wife lost her battle with cancer, Bruce dedicated his life to helping people control their own health and wellness. 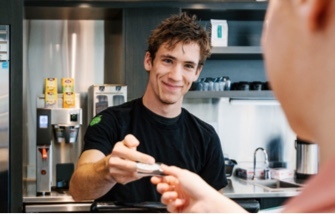 It’s the reason why he started Victoria’s first healthy fast-food bar in 2013. From that unassuming storefront in Cadboro Bay, Bruce has transformed his business into one of Canada’s leading health, wellness and lifestyle companies. 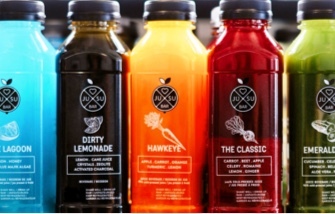 While the original JUSU Bar focused on cold press juices, the company has rapidly expanded its scope. Their grab-and-go food lineup is now available in several grocery stores and they’ve developed an organic body care product line called JUSU Body. And through it all, Shaw Business has been there to ensure the best in Internet and WiFi services. From investing in a smartphone app to their prolific social media presence, JUSU Bar has always understood the importance of technology. When choosing a service provider, the company needed a partner that could keep up. So, when it was time to open his first store, Bruce turned to the experts at Shaw Business. “One of the first things we did in Victoria was get SmartWiFi,” recalls Brandon Mullen, about JUSU Bar’s early days.